With 2012 1/4 of the way over, it's time to do a quick recap of the movie year so far. 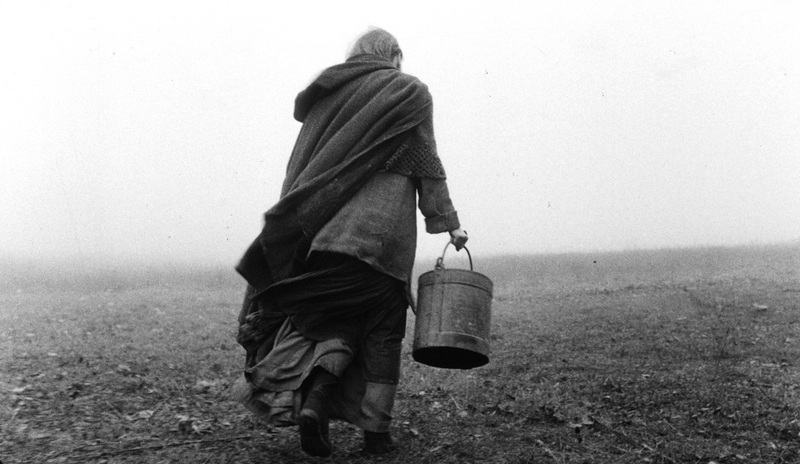 Erika Bók (Ohlsdorfer's daughter) in THE TURIN HORSE. Courtesy of Cinema Guild. Of course, the majority of the year is yet to come, it's never too late to take stock of what we've seen so far. While 2011 was already a tremendous year by this time, 2012 has been more of a slow burn. There have been some very strong films (and quite possibly what will end up the year's best film), but it looks like its highlights still lie ahead of us. Two auteur pieces from Cinema Guild, two documentaries, and the latest from the ever reliable Dardennes. Strong films all, but will they remain so high by year's end? Mainstream releases have been the usual mixed bag, with Joe Carnahan's The Grey (a rare January release that was more than just above average) leading the pack, along with Disney's notorious but surprisingly top notch sci-fi epic, John Carter. The year has had its share of stinkers too, the most egregious of which is arguably Relativity's feature length military recruitment ad, Act of Valor, as well as Niall MacCormick's bland coming of age drama Albatross and the latest incarnation of the "found footage" fad, Chronicle. So the jury's still out on 2012. It's possible it could end up as strong as 2011, but it's going to have to do some catching up. By this time last year we already had three four-star films (Le Quattro Volte, Poetry, and Uncle Boonmee Who Can Recall His Past Lives) and four films that went on to be on my 2011 top ten list (add Certified Copy). The summer movie season is just starting, Cannes is just around the corner, and Oscar season is still a while away, so there's still plenty of time for some great films to come along, doubtless some we don't even know about yet. Only time will tell.